A LinkedIn profile is as essential as a resume for today’s jobseekers. 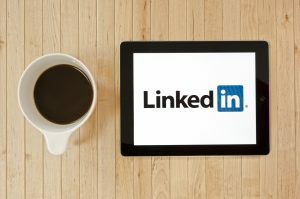 LinkedIn is a valuable social media tool and professional networking site that can connect you to recruiters, potential employers, past coworkers, and other business associates. To illustrate the power of LinkedIn connections for finding employment, a recent LinkedIn blog article stated that “According to a 2015 LinkedIn survey, 40% of job changers were hired at a company where they had at least one connection.” Need further proof? Eighty-seven percent of recruiters who participated in a Jobvite survey said that they are using LinkedIn as part of their recruiting process. To help you leverage the benefits of LinkedIn for your job search, here are some tips you can use to start attracting and making the right connections. Your LinkedIn headline is probably the most important part of your profile. That’s because when a user conducts a search on LinkedIn, the only thing they will see is your name, profile photo and headline. Your headline, similar to a headline in a newspaper article, should be written to attract the attention of searchers while summarizing what you do. Make it simple. A reader should not be confused about your job title, skill or expertise. Avoid titles that are too fancy or over-the-top, i.e., “superstar,” “guru,” “visionary,” etc. Use industry terms. LinkedIn search results are based on keyword queries. You want your profile to be found for the terms and job titles that people are using in your profession. You can research LinkedIn, Indeed.com and other employment-related sites to see what titles and buzzwords recruiters might be using to search for talent in your industry. Stress your value proposition. Rather than say you are looking for a job in a headline, talk about what you can bring to a new position – your value proposition. For example, “Experienced Marketing Manager Who Can Increase Your Sales and Revenue.” Avoid looking desperate while still making it apparent that you are in the job market and open to new opportunities. Make sure you have a professional-sounding email address. Also, be sure to personalize your public profile LinkedIn url. In the experience section, write a concise description of what jobs you have had, what skills you possess, and what accomplishments you achieved in each position. This is not a resume; it is meant to present an overview of your experience. Read these additional tips from LinkedIn on how to improve this section of your profile. You’ll also want to include any awards or industry recognition you have received. In addition, you can highlight your volunteer experience. Many companies look favorably on charitable work and your volunteer experiences can be a great complement to your paid employment information. Now that you have the perfect LinkedIn presence, you can start inviting coworkers, former colleagues, and college classmates to connect with you. Customize the default message and make your invitation personal. LinkedIn Groups can help you connect with people who share your industry interests, skills, and experience. There are also groups for colleges, associations, and job searching. Read what articles members are posting and talking about, and join in on the conversation with your professional opinions. Staying active on LinkedIn is an important job search strategy. It keeps your name in people’s minds and makes you look like a thought leader in your field. Share links to industry-related articles, commentaries, or news. Avoid sharing articles that are too promotional, controversial, political, or personal. Remember that LinkedIn is a networking site for professionals so be careful to only post content that will positively influence your career, image, and professional reputation. Follow companies you’d like to work for. Also, if you have been invited to interview with a company, you can look up your potential employer and the person with whom you will be interviewing. You can garner a lot of information about a company or a person from the profile, plus on the company pages you can see if you share any connections. If you do, you may want to consider reaching out to those connections. Start conversations with people in your LinkedIn Groups. Reconnect with an old college classmate or co-worker. You never know who might be able to help you in your job search, and if they can’t, they might know someone who can. The more you put yourself out there, the better the chance that you will get your foot into the door of a potential employer. LinkedIn is a smart way to promote your professional online “brand” and take the next step in your career. Good luck in your job search!